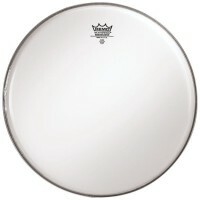 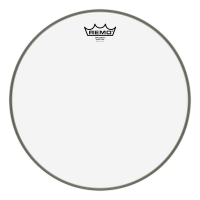 Remo 12'' Powerstroke 3 CoatedThe Coated Powerstroke 3 features a thin underlay at the o..
ΔΕΡΜΑ 12'' REMO RA-0 RENAISSANCE AMBASSADOR The Renaissance Ambassador heads are medium-weight he..
Remo 13" Starfire ChromeThe Remo Starfire Chrome head is one of Remo's the speciality range..
Remo 13'' Ambassador Clear The Ambassador Clear drumhead features an open, bright a..
Remo 13'' Ambassador Coated The Ambassador Coated is the most popular drumhead in t..
Remo 13'' Ambassador X Coated The Ambassador X Coated drumhead features enhanced at..
Remo 13'' Ambassador X14 CoatedThe Ambassador X 14 Coated drumhead features enhanced att..
Remo 13'' Classic Fit Ambassador Hazy Snare SideThe Ambassador Classic Fit Drumheads fea..
Remo 13'' Classic Fit Fiberskyn Diplomat The Ambassador Classic Fit Drumheads featu..
Remo 13'' Diplomat Hazy Snare SideDiplomat Hazy Snare Side drumheads feature open, brigh..
ΔΕΡΜΑ 13'' REMO ES-0 EBONY AMBASSADOR The Ebony Ambassad..
Remo 13'' Emperor Hazy Snare SideΔΕΡΜΑ 13'' REMO &Zet..
Remo 13'' Fiberskyn Ambassador (FA)The Fiberskyn Ambassadors are medium-weight heads mad..
Remo 13'' Fiberskyn Diplomat (FD)The Fiberskyn Diplomats have warm tones due to a ..
Remo 13'' Fiberskyn Powerstroke 3 (FD)The Powerstroke P3 Fiberskyn drumheads feature foc..
Remo 13'' Powerstroke 3 Coated The Powerstroke 3 Coated features focused mid and lo..
ΔΕΡΜΑ 13'' REMO RA-0 RENAISSANCE AMBASSADOR The Renaissance Ambas..
ΔΕΡΜΑ 13''REMO RE-0 RENAISSANCE EMPERORRenaissance Emperor heads are warmer than Clear Emper..
Remo 13'' Renaissance Hazy Snare SideΔΕΡΜΑ 13'' REMO .. 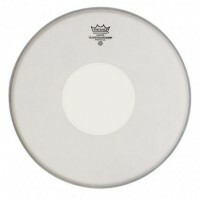 The full color Rock and Roses graphic, designed by Corey Miller, is available in 13” snare dru.. 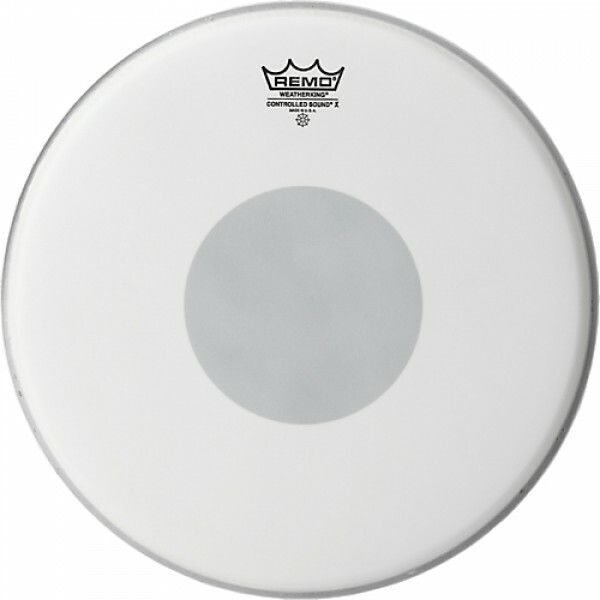 The snare drumhead in 13” size feature a 12-mil Suede® single ply film for excellent durab..
Remo 13'' SkyntoneThe Skyntone drumhead is a fused poly-spun fiber 8-mil film with a na..
Remo 14" Starfire ChromeThe Remo Starfire Chrome head is one of Remo's the speciality range..
Remo 14" Starfire GoldThe Remo Starfire Gold drum head is one of Remo's the speciality rang..
Remo 14'' Ambassador CoatedThe Ambassador Coated is the most popular drumhead in t..
Remo 14'' Ambassador Hazy Snare SideThe Ambassador Hazy Snare Side features open resonan..
Remo 14'' Ambassador X Coated The Ambassador X Coated drumhead features enhanced at..
Remo 14'' Ambassador X14 CoatedThe Ambassador X 14 Coated drumhead features enhanced att..
Remo 14'' Black Suede AmbassadorThe Ambassador Black Suede drumheads features a lightly ..
Remo 14'' Black Suede Ambassador Hazy Snare SideThe Ambassador Black Suede Snare Side dr..
Remo 14'' Classic Fit Ambassador Hazy Snare SideThe Ambassador Classic Fit Drumheads fea..
Remo 14'' Classic Fit Fiberskyn Diplomat The Ambassador Classic Fit Drumheads featu..
Remo 14'' Diplomat Hazy Snare SideDiplomat Hazy Snare Side drumheads feature open, brigh..
Remo 14'' Dragon SkynThe Dragon Skyn graphic, designed by Corey Miller, is available 14..
ΔΕΡΜΑ 14'' REMO ES-0 EBONY AMBASSADOR (ΜΑΥΡ&..
Remo 14'' Emperor Hazy Snare SideΔΕΡΜΑ 14'' REMO SE-1..
Falams IIBased on the original Falam® (Fabric Laminate) design, this head produces excellen..
Remo 14'' Fiberskyn Ambassador (FA)The Fiberskyn Ambassadors are medium-weight heads mad..
Remo 14'' Fiberskyn Diplomat (FD)The Fiberskyn Diplomats have warm tones due to a ..
Remo 14'' Fiberskyn Powerstroke 3 (FD)The Powerstroke P3 Fiberskyn drumheads feature foc..
Remo 14'' Powerstroke 3 Coated The Powerstroke 3 Coated features focused mid and lo..
Remo 14'' Powerstroke X Coated Powerstroke X snare drumheads are construc..
ΔΕΡΜΑ 14'' REMO RA-0 RENAISSANCE AMBASSADOR The Renaissance Ambassador heads are medium-weight he..
Remo 14'' Renaissance Hazy Snare SideΔΕΡΜΑ 14'' REMO ..